Nuclear energy is the energy held in the nucleus of an atom; it can be obtained through two types of reactions - fission and fusion Nuclear Energy (2015) "What is nuclear Energy?" http://nuclear-energy.net/what-is-nuclear-energy Nuclear Energy (2015) "What is nuclear Energy?" http://nuclear-energy.net/what-is-nuclear-energy Nuclear Energy (2015) "What is nuclear Energy?" http://nuclear-energy.net/what-is-nuclear-energy Nuclear Energy (2015) "What is nuclear Energy?" http://nuclear-energy.net/what-is-nuclear-energy Nuclear Energy (2015) "What is nuclear Energy?" http://nuclear-energy.net/what-is-nuclear-energy . Nuclear fission produces energy through the splitting of atoms, which releases heat energy that can generate steam and then be used to turn a turbine to produce electricity. U.S. Environmental Protection Agency (2015) "Nuclear Energy" http://www.epa.gov/cleanenergy/energy-and-you/affect/nuclear.html U.S. Environmental Protection Agency (2015) "Nuclear Energy" http://www.epa.gov/cleanenergy/energy-and-you/affect/nuclear.html U.S. Environmental Protection Agency (2015) "Nuclear Energy" http://www.epa.gov/cleanenergy/energy-and-you/affect/nuclear.html U.S. Environmental Protection Agency (2015) "Nuclear Energy" http://www.epa.gov/cleanenergy/energy-and-you/affect/nuclear.html U.S. Environmental Protection Agency (2015) "Nuclear Energy" http://www.epa.gov/cleanenergy/energy-and-you/affect/nuclear.html All of today’s nuclear plants use fission to generate electricity. The fuel most commonly used for fission is uranium, although additional elements such as plutonium or thorium can be used. Nuclear fusion is a nuclear reaction in which two or more atomic nuclei collide at a very high speeds and join to form a new type of atomic nucleus. During this process, matter is not conserved because some of the matter of the fusing nuclei is converted into photons, which produces usable energy. This process is what allows the sun and stars to give off energy. Fusion power offers the prospect of an almost inexhaustible source of energy for future generations; however, creating the conditions for nuclear fusion presents a potentially insurmountable scientific and engineering challenge Nuclear Fusion Power – World Nuclear Association - http://www.world-nuclear.org/info/current-and-future-generation/nuclear-fusion-power/ Nuclear Fusion Power – World Nuclear Association - http://www.world-nuclear.org/info/current-and-future-generation/nuclear-fusion-power/ Nuclear Fusion Power – World Nuclear Association - http://www.world-nuclear.org/info/current-and-future-generation/nuclear-fusion-power/ Nuclear Fusion Power – World Nuclear Association - http://www.world-nuclear.org/info/current-and-future-generation/nuclear-fusion-power/ Nuclear Fusion Power – World Nuclear Association - http://www.world-nuclear.org/info/current-and-future-generation/nuclear-fusion-power/ . A recent experiment has shown that nuclear fusion can be achieved, however, it has not yet been successfully demonstrated on a commercial scale. Today, nuclear power plants account for 11% of global electricity generation with about 80% of that installed capacity being in OECD countries World Energy Outlook 2014 Factsheet: Nuclear power: retreat, revival or renaissance? http://www.iea.org/media/news/2014/press/141112_WEO_FactSheet_Nuclear.pdf World Energy Outlook 2014 Factsheet: Nuclear power: retreat, revival or renaissance? http://www.iea.org/media/news/2014/press/141112_WEO_FactSheet_Nuclear.pdf World Energy Outlook 2014 Factsheet: Nuclear power: retreat, revival or renaissance? http://www.iea.org/media/news/2014/press/141112_WEO_FactSheet_Nuclear.pdf World Energy Outlook 2014 Factsheet: Nuclear power: retreat, revival or renaissance? http://www.iea.org/media/news/2014/press/141112_WEO_FactSheet_Nuclear.pdf World Energy Outlook 2014 Factsheet: Nuclear power: retreat, revival or renaissance? http://www.iea.org/media/news/2014/press/141112_WEO_FactSheet_Nuclear.pdf . All of this capacity is nuclear fission. Nuclear energy, through fission, can release 1 million times more energy per atom than fossil fuels MacKay, D.J.C., Sustainable Energy – without the hot air, UIT Cambridge, 2008. ISBN 978-0-9544529-3-3. Available free online from www.withouthotair.com. MacKay, D.J.C., Sustainable Energy – without the hot air, UIT Cambridge, 2008. ISBN 978-0-9544529-3-3. Available free online from www.withouthotair.com. MacKay, D.J.C., Sustainable Energy – without the hot air, UIT Cambridge, 2008. ISBN 978-0-9544529-3-3. Available free online from www.withouthotair.com. MacKay, D.J.C., Sustainable Energy – without the hot air, UIT Cambridge, 2008. ISBN 978-0-9544529-3-3. Available free online from www.withouthotair.com. MacKay, D.J.C., Sustainable Energy – without the hot air, UIT Cambridge, 2008. ISBN 978-0-9544529-3-3. Available free online from www.withouthotair.com. . It can also be integrated into electricity grids, which currently utilize fossil fuel generation, with few changes to existing infrastructure. Nuclear has large power-generating capacity and low operating costs, making it ideal for base load generation. However, up front capital costs are intensive and present financial risk to investors given the extended time frames power plants must operate to recuperate their costs Department of Energy and Climate Change, Investing in renewable technologies, - CfD contract terms and strike price, (2013), Retrieved from: https://www.gov.uk/government/publications/investing-in-renewable-technologies-cfd-contract-terms-and-strike-prices Department of Energy and Climate Change, Investing in renewable technologies, - CfD contract terms and strike price, (2013), Retrieved from: https://www.gov.uk/government/publications/investing-in-renewable-technologies-cfd-contract-terms-and-strike-prices Department of Energy and Climate Change, Investing in renewable technologies, - CfD contract terms and strike price, (2013), Retrieved from: https://www.gov.uk/government/publications/investing-in-renewable-technologies-cfd-contract-terms-and-strike-prices Department of Energy and Climate Change, Investing in renewable technologies, - CfD contract terms and strike price, (2013), Retrieved from: https://www.gov.uk/government/publications/investing-in-renewable-technologies-cfd-contract-terms-and-strike-prices Department of Energy and Climate Change, Investing in renewable technologies, - CfD contract terms and strike price, (2013), Retrieved from: https://www.gov.uk/government/publications/investing-in-renewable-technologies-cfd-contract-terms-and-strike-prices . 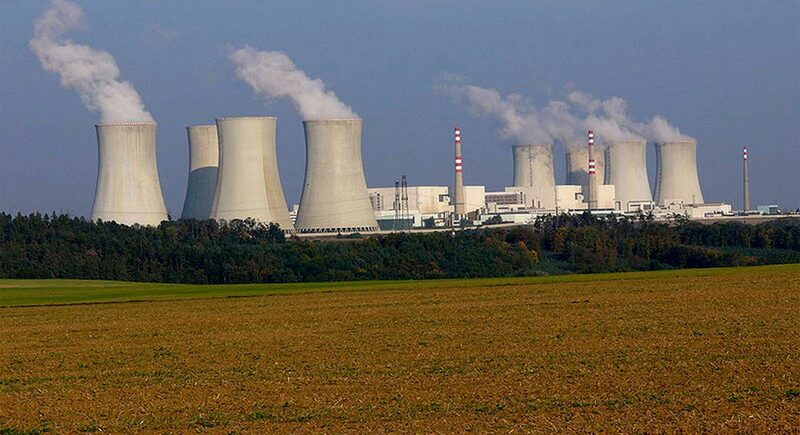 Nuclear energy does not emit greenhouse gas emissions. For this reason, it is often seen as a substitute for fossil fuel energy generation and a solution for mitigating climate change. However, nuclear fission has a wide variety of environmental and health issues associated with electricity generation. The largest concern is the generation of radioactive wastes such as uranium mill tailings, spent (used) reactor fuel, and other radioactive wastes. Some of these materials can remain radioactive and hazardous to both human health and the environment for thousands of years. Several large nuclear meltdowns in history released radioactive waste that had lasting negative impacts on the environment and surrounding communities. This has made nuclear fission technologies controversial. ^ MacKay, D.J.C., Sustainable Energy – without the hot air, UIT Cambridge, 2008. ISBN 978-0-9544529-3-3. Available free online from www.withouthotair.com. Nuclear fission is a process where energy is released by the splitting of uranium atoms. Nuclear fusion is a nuclear reaction where two or more atomic nuclei collide at a very high speed and form a new type of atomic nucleus.